Ss have to choose the right sentence and label the pictures, then they colour as they prefer. It's useful to revise general language about weather. 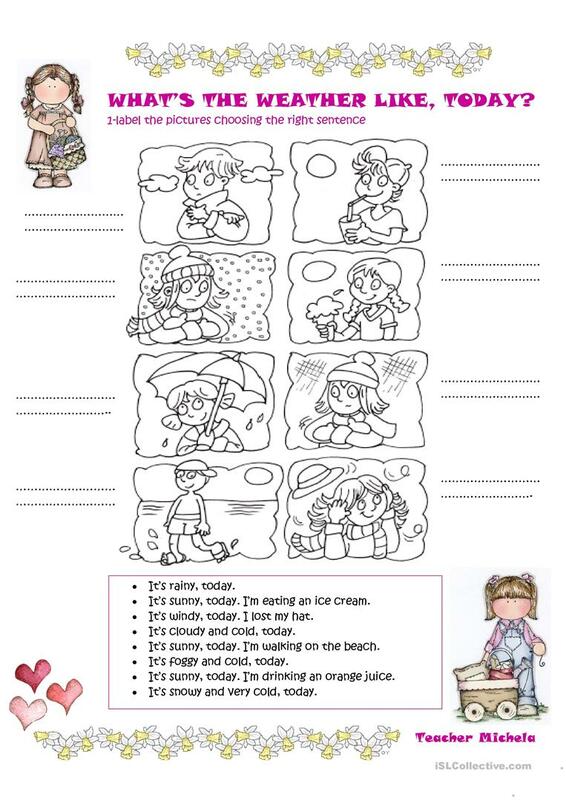 The above downloadable worksheet is best suited for high school students, elementary school students and students with special educational needs, learning difficulties, e.g. dyslexia at Elementary (A1) and Pre-intermediate (A2) level. It is useful for honing your learners' Reading and Writing skills. It is about the topic and words of Weather.